Sad, but also true. 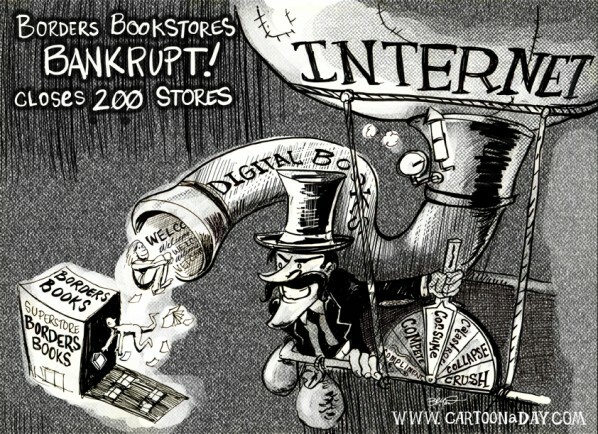 . . another victim of the “digital age”…the Borders chain of Bookstores announced it can’t keep up with the dwindling paper book readership and the increasing demand for digital publishing. I know how they feel, having been a print designer and publisher for 20 years. But happily, my first novel was e-printed and you come to this blog every day, proving traffic is where you make it. 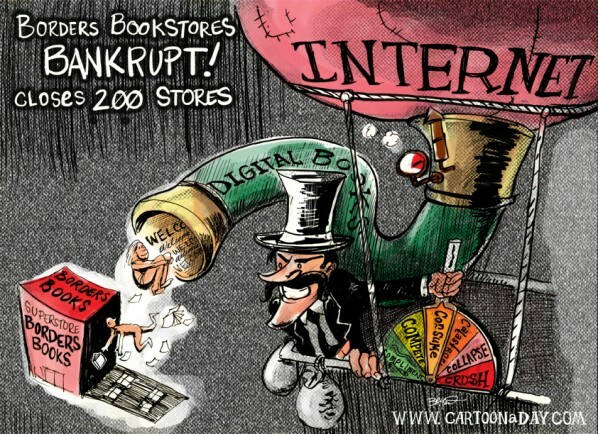 Inspiration: A fun cartoon of the Internet depicted as a villain, sucking customers out of a bookstore. 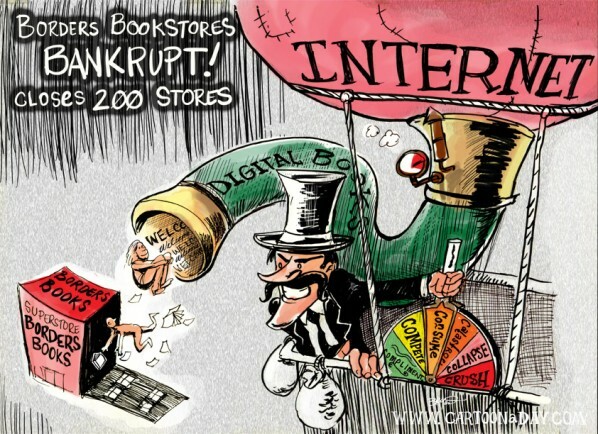 The internet is defeating paper books.